New York City just announced a building retrofit plan, timed right before yesterday’s People’s Climate March. 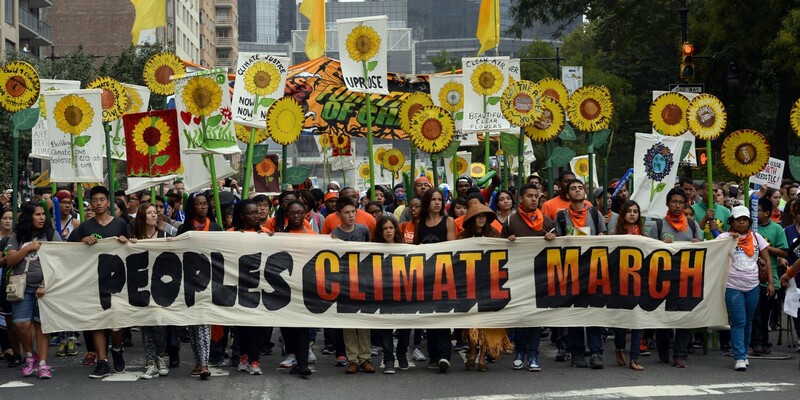 The march through Manhattan was estimated as the largest climate march in history, with from 300,000 to 400,000 people participating. As nearly three-quarters of NYC’s emissions come from energy used in buildings, steps aimed at building energy efficiency are among the most effective measures to move the city toward “a complete transition away from fossil fuels,” according to the 111-page draft report on the proposal. The plan calls for upgrades to lighting and heating/ventilation systems,as well as solar-power installations. Also introduced in the plan is an air- conditioner exchange program aimed at NYC public housing, which would speed the replacement of old units that tend to be less efficient.